I use balsamic vinegar a lot at home with bread and olive oil and I also chuck it over my salads without really any idea of how it’s made or where it’s from so The surprise and enjoyment I got from my visit to Acetaia di Giorgio in Modena was incredible. 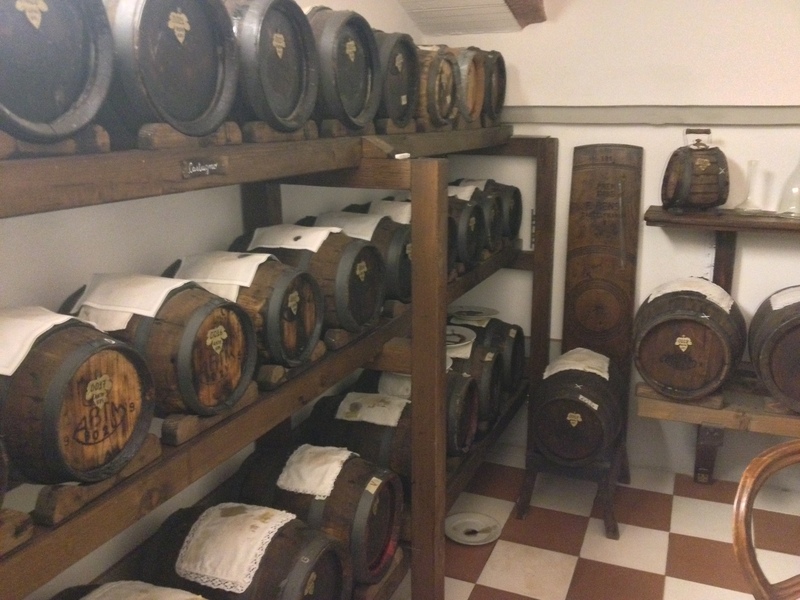 I was interested to learn more about Traditional Balsamic Vinegar but in all honesty I didn’t really understand the plaudits or boasting of Modena about Traditional Balsamic Vinegar. I was probably a little sceptical and just assumed as it originated here that the town was using this as some kind of marketing ploy. I arrived a little early and no one seemed to be in. I double checked the address a couple of times as I had arrived at what looked like someone’s house – mind you it was a really beautiful house too! On my second ring of the doorbell a car pulled up to the house and out jumped Giovanna welcoming me with open arms, taking me into her and Giorgio’s home. Apart from thinking ‘wow this house was beautiful’ my first impression was the smell. Almost instantly after stepping across the threshold and into the house my nose was filled with the tang of sweet rich balsamic vinegar, an incredible sensory experience. 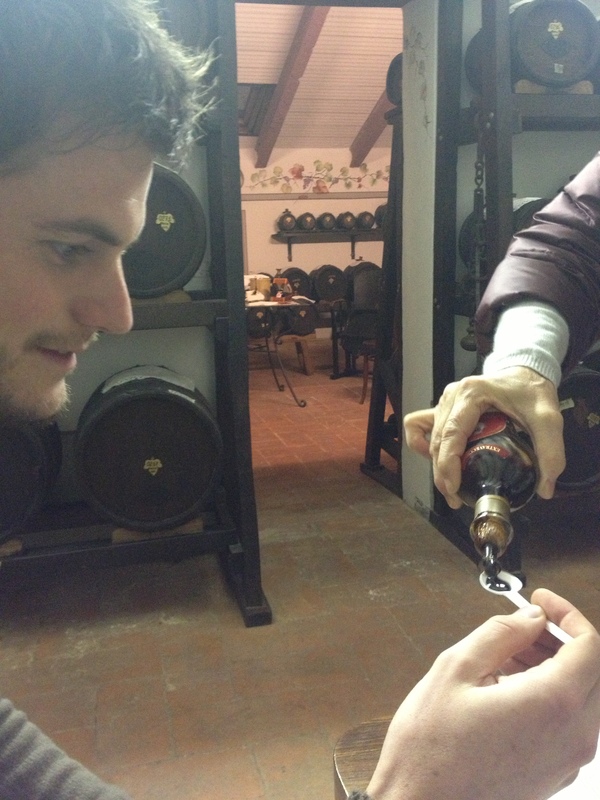 It was here my lesson about Traditional Balsamic Vinegar began. Giovanna took us into the attic explaining this is where Traditional Balsamic Vinegar has to be made due to the changing temperature of the seasons. The vinegar has to be able to breathe and change from hot in the summer to very cool in the winter to create the best flavours. The process of aging to create the best vinegar takes a minimum of 25 years and whilst quite a simple process, beginning with cooking grapes and then aging in a serious of wooden barrels, there is a lot of quality control in order to meet D.O.P requirements. D.O.P stands for Denominazione di Origine Protetta. If you see a product in Italy with this label it means the product ingredients and preparation are specific to a particular region. For example Balsamic Vinegar made outside of Modena would not be able to use this label. Giovanna was so passionate about the product and I loved hearing her stories and ideas. I was particularly interested to know that Traditional Balsamic Vinegar comes straight from grape juice and not from a form of alcohol like some other vinegars. I also loved the ‘diary’ she had created for her daughter Carlotta so she could understand the process of making Traditional Balsamic Vinegar as she grew up. Finally after a nose overload came what I was desperately waiting for, the tasting. Well if the smell was a nose overload the taste of this black gold was like some sort of explosion. I thought I knew what to expect, after all I use balsamic vinegar all the time, but this was something completely different. The complexity and depth of the flavours depending on which type of wood barrel had been used was a joy to taste. I loved the Juniper and Cherry wood flavours and enjoyed how the flavour continued to change in my mouth. Whilst I may have tasted balsamic vinegar before I would have never just pour a spoon and have it on its own. Well this stuff is so good I was happy just to keep having a spoonful followed by a little bit of bread or Parmesan cheese. I bought a bottle whilst there and since returning home have had a couple of friends try it – their response was the same as mine ‘wow that’s really good’. It’s not just us that think it’s great either. Giorgio and Giovanna have a letter from the Obama’s at the White House thanking them for their wonderful Traditional Balsamic Vinegar as well! If you are ever in Modena I would highly recommend paying a visit to Acetaia di Giorgio and learning about the history of Traditional Balsamic Vinegar and of course make sure you buy a bottle too. Whilst not cheap and only in 100ml sizes in my opinion the value for money is excellent when you see how much love and care has been put into the product. I’m going to always have a bottle in the cupboard now and can’t wait to show off such an amazing product to my friends. Like you I regularly use balsamic vinegar at home but had no idea just how amazing the taste could be until I tried aged balsamic vinegar in market in Rome. I had already planned a visit to Modena and Acetaia di Giorgio and now I’m even more excited about going, just a pity I won’t be there until next summer! Wow its great that you are already planning to visit. 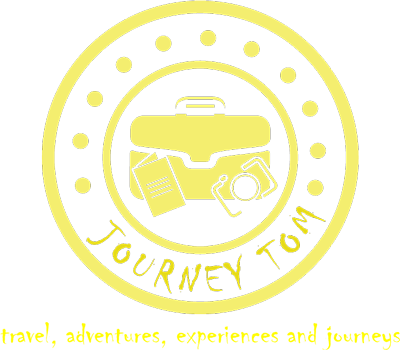 It was a wonderful experience and one I am sure you will really enjoy! Thank u so much for sharing our passion and tradition of making the real Traditional Balsamic Vinegar of Modena DOP on the web. We hope to see you soon in our Acetaia!!! Thank you for letting me visit it was such a great experience! 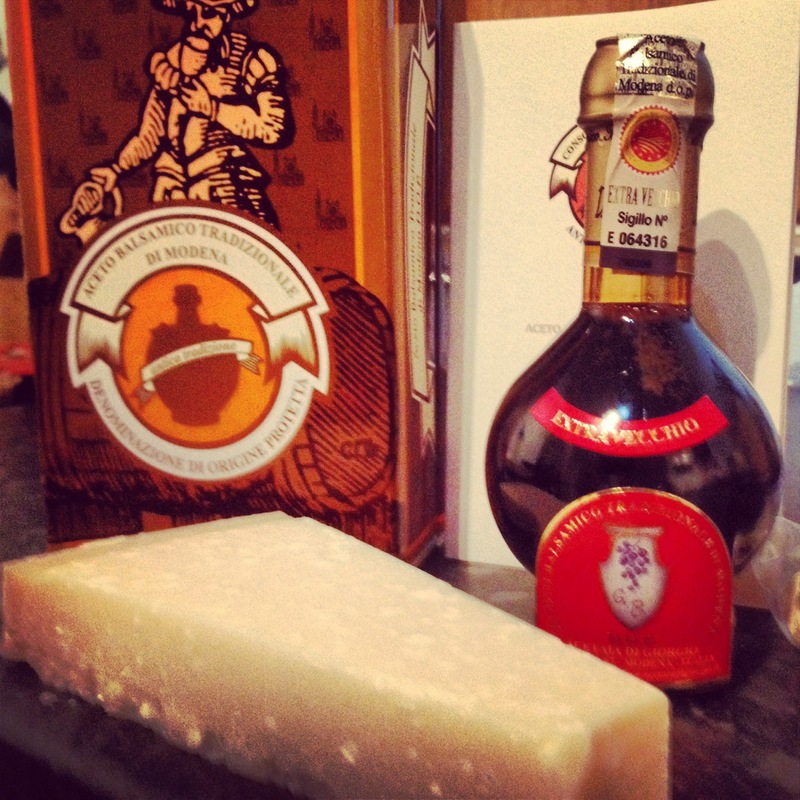 Thank you for sharing this, Acetaia di Giorgio is one of my favourite balsamic vinegar producers in Modena. Thanks for the comment Acetaia di Giorgio certainly makes a very special Balsamic Vinegar, I have been enjoying letting my friends and family taste it.